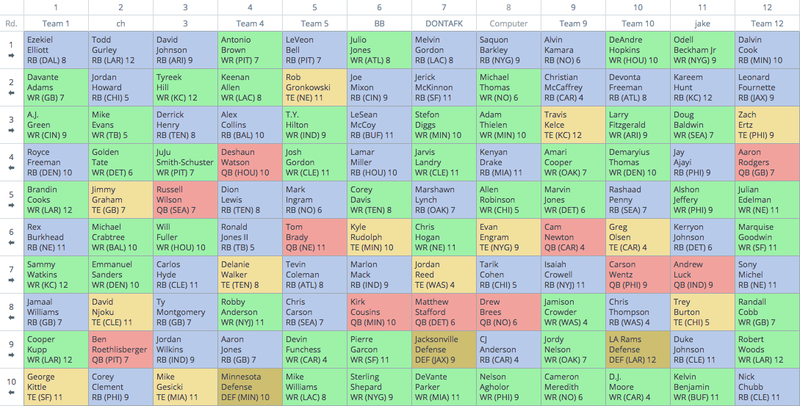 After two full weeks of preseason games, fantasy draft season has finally arrived. Mock drafts provide a great way to stay on top of preseason news and depth chart swings. This particular mock draft can be found here. At Fantasy Football Calculator you can join mock drafts, check out the latest mock draft results, and analyze ADP data for each player. With the largest workload in football Le'Veon Bell should be a consideration at 1.01. When he slides outside the top two, he becomes an auto-draft. Bell has seen 406 and 336 touches the past two seasons. While Julio Jones has wide receiver one in his range of outcomes, his volume isn't as secure as players likeSaquon Barkley, Melvin Gordon, and even DeAndre Hopkins all going behind him. With an ADP of 2.02, Jones can usually be drafted in the second round. 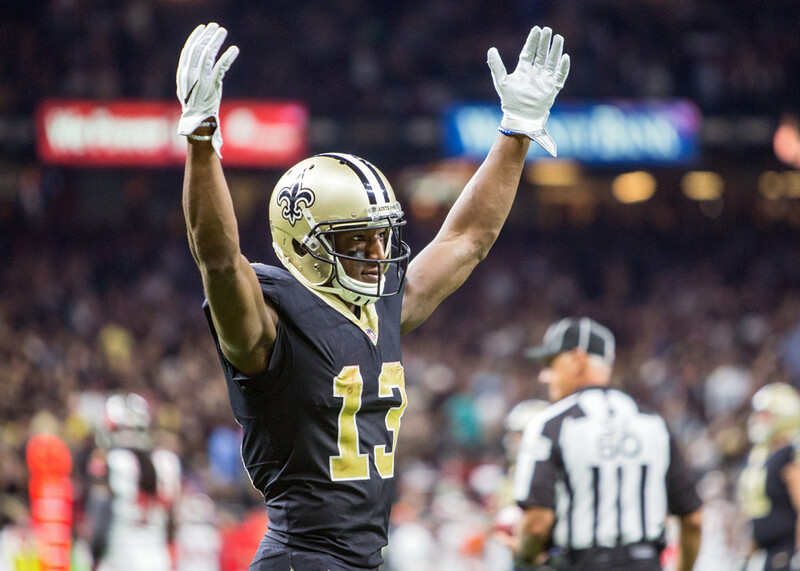 Last season Michael Thomas broke the NFL record for most receptions by any player through the first two years of their career. With over 1,200 yards each season and playing in a Drew Brees led offense, Thomas should best his five touchdowns from a season ago. Tyreek Hill's 1,183 receiving yards ranked seventh in the NFL, but his 105 targets tied for 29th in targets. With regression likely to occur, receivers with more bankable targets should be drafted ahead of Hill. In seven years in the league, AJ Green only has one season below 1,000 yards (2016 after he missed 6 games with a hamstring injury). Arguably the league's most consistent receiver, Green should best his 143 targets from a season ago after playing in 2017's slowest offense. To this point in the preseason, Alex Collins has split time with Buck Allen. Last season Allen out-targeted Collins 60 to 36 and out-carried Collins in the red zone 37 to 28. With Kenneth Dixon also returning, Collins may see less work than expected. The Bears number one wide receiver, Allen Robinson had target counts of 151 in each of this last two healthy seasons. Robinson could approach those numbers in a forward-thinking offence led by head coach Matt Nagy. Robinson remains a value anywhere in the fifth round. Suspended for the first four games of the year, Mark Ingram may struggle to regain his role in the Saint's offense. Over the Saints final five games, Alvin Kamara out-snapped and out-carried Ingram. No stranger to Sean Payton's dog-house, Payton once benched Ingram for Tim Hightower. After missing 35-percnt of his career games, Jordan Reed's ADP has fallen drastically. However, Reed has finished as TE1, TE2, and TE9 in points per game over the past three seasons. With a depressed cost, Reed will be a difference maker in 2018. Stuck in a committee with Duke Johnson and Nick Chubb, Carlos Hyde could struggle to see projectable volume each week. With dependable backs like Chris Carson, Isaiah Crowell, and Chris Thompson going later, Hyde remains a reach in the seventh round. With Alshon Jeffery nursing a shoulder and potentially beginning the season on PUP, Nelson Agholor should be the biggest beneficiary. Agholor recorded a career best 768 receiving yards and eight touchdowns and could best those numbers this year. Despite finishing at the highest scoring defense, the ninth round is simply too early to address the position. Just last season, the Jacksonville defense had an ADP outside of the top 13 defenses. Wait till the final rounds of drafts to select a defense.